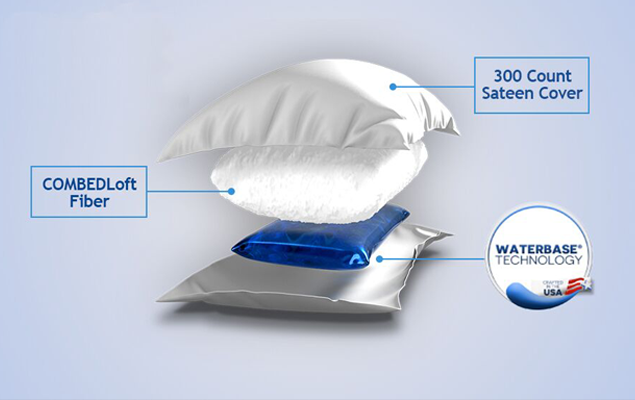 As the only pillow with clinical proof, The Water Pillow is far superior to others - let us show you why. Our revolutionary waterbase technology guarantees support, conforms to the head and neck, and responds while you sleep. We have the clinical studies to prove it. Read on to find out more. The Water Pillow by Mediflow was clinically tested at the Johns Hopkins School of Medicine, and was proven effective for improving quality of sleep and reducing neck pain, which makes it the only pillow with real proof! 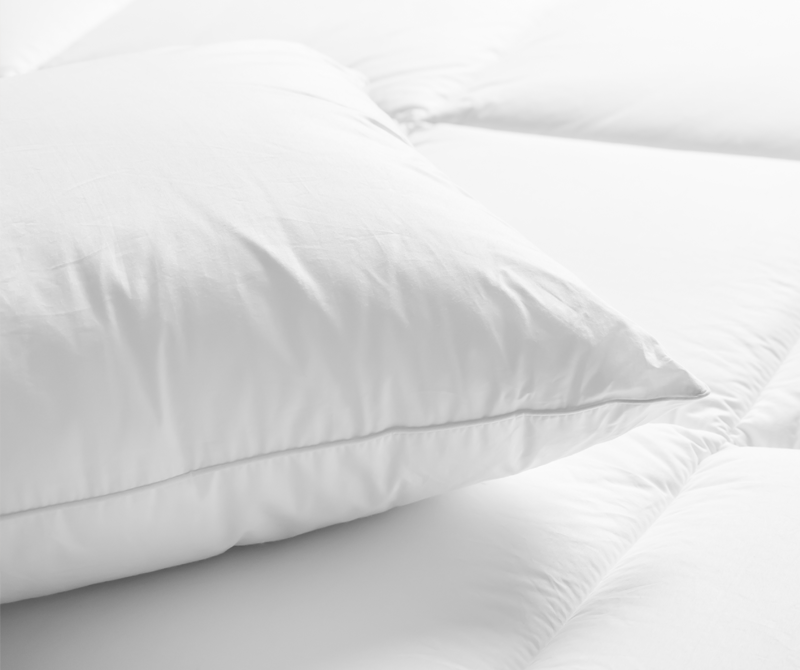 Our original Fiberfill pillow offers you a soft layer of resilient Dacron Hollofil® fiber providing exceptional comfort. The fiber floats atop our clinically proven waterbase technology for personalized, responsive support. Water responds to head motion as you move around during sleep, so you're not waking yourself up in the middle of the night to re-stuff and re-fluff your pillow. In addition, the waterbase technology perfectly conforms to your head and neck for true personalized comfort. Best of all you adjust the firmness level by adding or removing the amount of water you need for the perfect level of support. Experts recommend changing your pillow every 3 years. switch to the water pillow today! 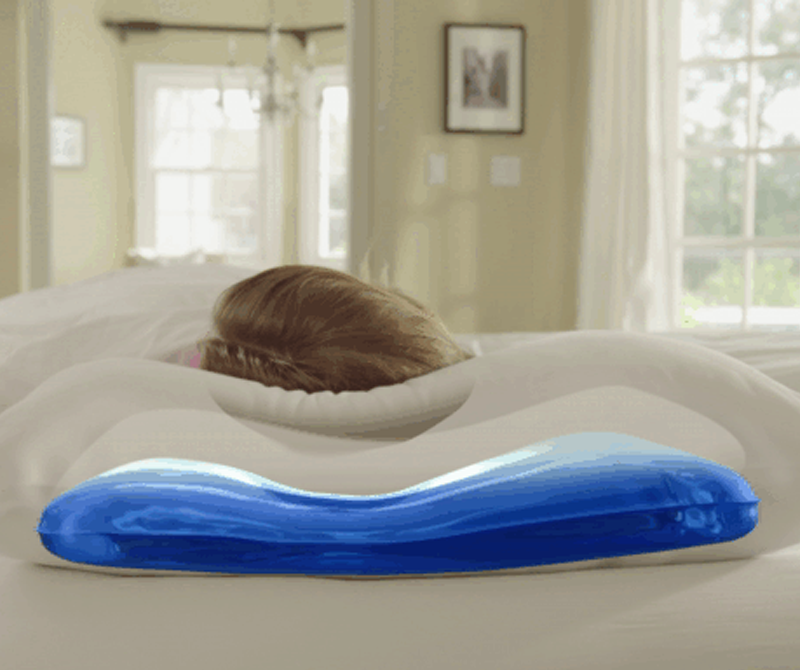 The Water Pillow by Mediflow is proven to reduce neck pain because the waterbase supports your neck all night long, even when you change sleeping positions. We call that responsive support. With our 30 day sleep guarantee, you can sleep on The Water Pillow by Mediflow for 30 days risk-free. If it doesn't give you a better night's sleep, simply return it and get your money back. In addition, you're protected by our 3-year warranty. 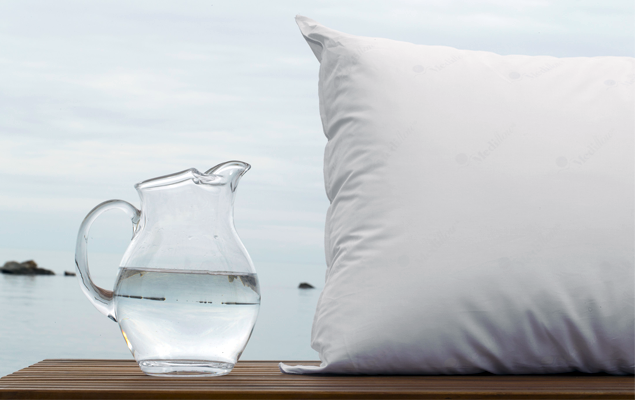 Over 5 Million people trust their sleep to The Water Pillow by Mediflow. That's why we are consistently rated the highest grade possible – 5 stars. Ready for a better night's sleep?